The riverfront and surrounding scenery provide a peaceful ambiance to your vacation home in Leaside. This cosmopolitan city has many special qualities. Toronto Public Library and CN Tower are just a couple of the must-sees in the area. If you're looking for accommodations with space to entertain friends and family, HomeAway has plenty of options to choose from. Many rental homes offer full kitchens and laundry facilities, perfect for big groups. Fly into Toronto, ON (YTZ-Billy Bishop Toronto City), the closest airport, located 5.2 mi (8.3 km) from the city center. If you can't find a flight that works for your travel itinerary, you could also fly into Toronto, ON (YYZ-Pearson Intl. ), which is 12.4 mi (19.9 km) away. Where to stay near Leaside? 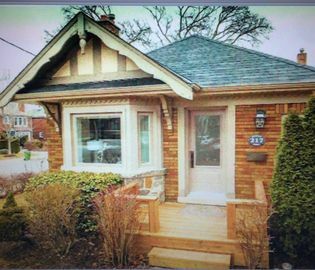 Our 2019 vacation rental listings offer a large selection of 20 house rentals near Leaside. From 16 Houses to 4 Condos/Apartments, find unique vacation rental for you to enjoy a memorable stay with your family and friends. The best place to stay near Leaside for a long holiday or a weekend break is on HomeAway. What is the best area to stay when travelling to Leaside? Can I rent Houses in Leaside? Can I find a vacation rental with internet/wifi in Leaside? Yes, you can select your preferred vacation rental with internet/wifi among our 18 vacation homes with internet/wifi available in Leaside.